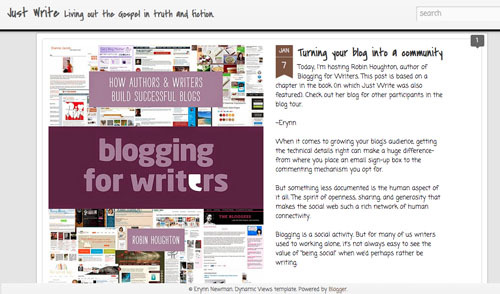 Over on US author Erynn Newman’s blog Just Write, I wrote a guest post on How to turn your Blog into a Community – it’s interesting how small details can make a big difference. 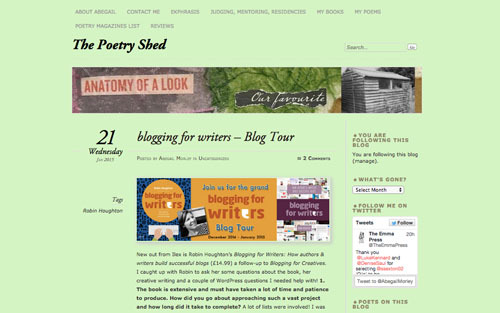 Then at The Poetry Shed, Abegail Morley grilled me about various things, from how long it took to write the book to whether it’s worth paying for WordPress.com upgrades… you have to click through to find out! If blogging has become a bit of a drag and you need to get your mojo back, read my guest post at Trin in the Wind, the blog of Australian author Trinity Doyle. 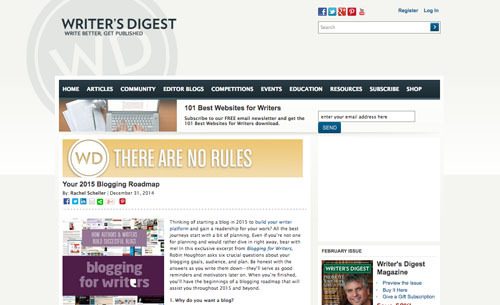 And at Writers’ Digest, Rachel Scheller wrote a piece entitled Your 2015 Blogging Roadmap, based on sections of the book. Huge thanks to all the writers who’ve hosted me during the tour, and there’s more to come. I’m delighted to be appearing soon at the mighty Writer Unboxed, and also on the legendary blog of Anne R Allen. 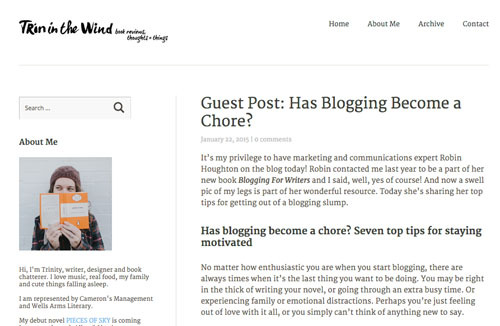 Guest blogging is a wonderful way to extend your blog community and reach. If you have an idea for a blog post which would be of interest to readers of another blog, why not approach the blog owner with your idea? They can only say no, but they might say yes! 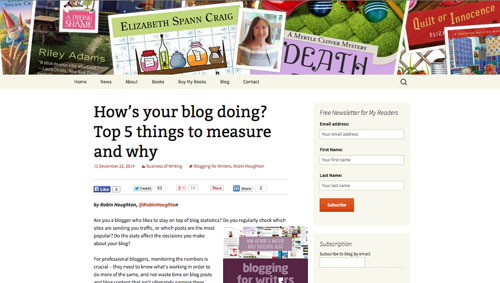 PS – only 2 places left on my course this weekend in Brighton, ‘Set up your WordPress blog in a day’ – spread the word!